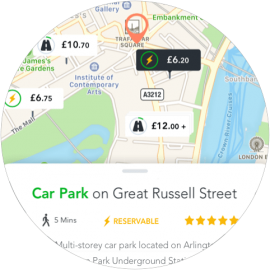 Find parking in seconds, wherever and whenever you need it, with millions of options at your fingertips via our 5 star rated apps. From work journeys to weekend trips, shopping to sports stadiums, we’ve got you covered – with directions to car parks and on-street spaces, plus info on availability and restrictions. And for maximum peace of mind? Choose one of our 20,000+ reservable locations – then simply park and get on with your day. 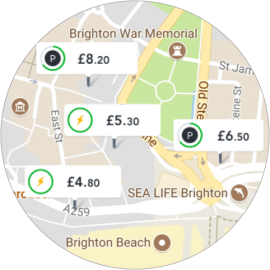 Choose from millions of options – both off-street (car parks & private) and on-street (parking meters & free). 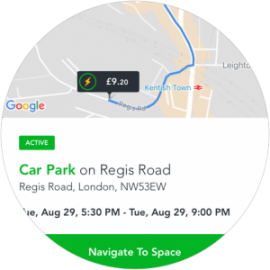 The circle around the P shows the likelihood of a space being available – the more green you see, the better. The lightning bolt indicates spaces which you can reserve – for guaranteed parking and peace of mind. These pins indicate an area where there are multiple options in close proximity. Tap to see them all. 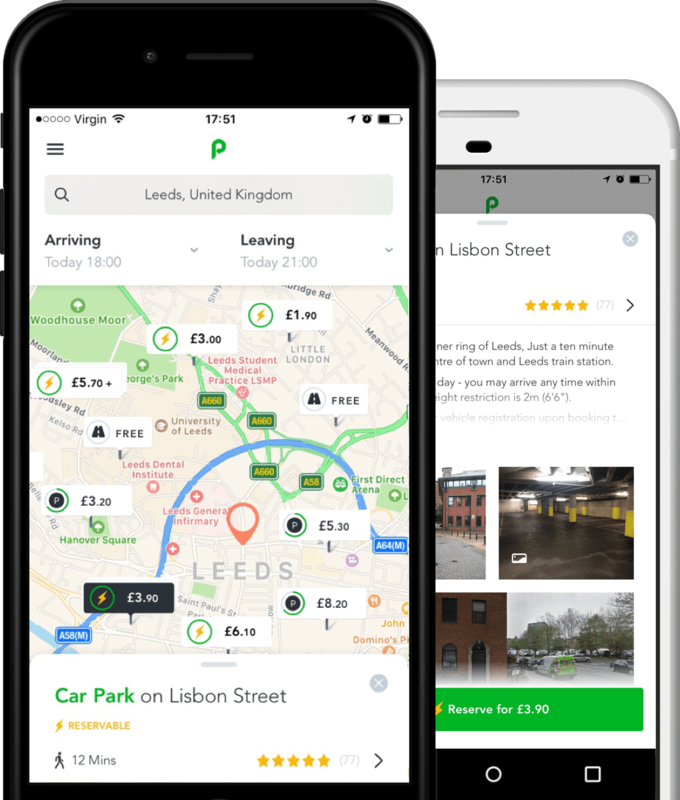 Browse parking options – wherever, whenever. Choose from 20,000+ reservable locations. Select a space with a reservable icon. Pay quickly with card, PayPal, Apple Pay or Android Pay. Follow simple instructions to get to the space. Just park your car and get on with your day.